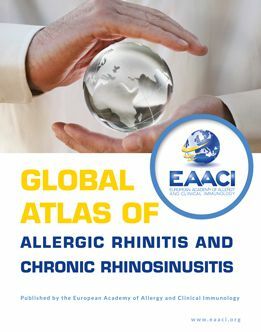 The EAACI Global Atlas of Allergic Rhinitis and Chronic Rhinosinusitis contains 154 chapters written by 218 authors with 269 illustrations and 92 tables. It is developed as a desktop reference for multisectoral usage covering all aspects of AR and CRS from epidemiology, risk factors and molecular and cellular mechanisms to their management, clinical features and co-morbidities, diagnosis, treatment, prevention and control. In addition, the Atlas will offer an educational tool and a desktop preference for medical students, allied health workers, primary care physicians, pharmacists, medical industry, policy makers, patient organizations and specialists dealing with AR and CRS. We would like to thank all of the authors for their contributions. Asthma is a major public health problem affecting 300 million patients around the world. Its prevalence and impact are particularly on the rise in urbanized regions and expanding worldwide, associated with environmental and lifestyle changes. With a projected surge in the world’s urban population by 2025 it is estimated that a further 100 million people will suffer from asthma, adding to the number of current sufferers. This will represent the most prevalent chronic childhood disease and results in one of the highest causes of health care costs. Many economic and political factors impact the efficiency of asthma prevention. Examples include poverty, poor education and infrastructure, low public health priority and a lack of solid global data on morbidity and mortality from asthma. 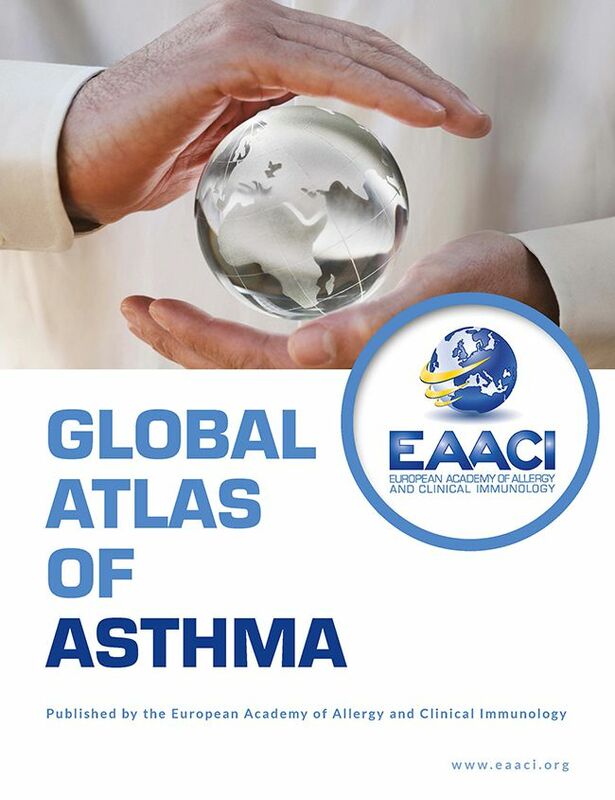 To tackle this huge global health problem the European Academy of Allergy and Clinical Immunology (EAACI) has decided to publish a “Global Atlas of Asthma”. This Atlas aims to provide a platform for strategic planning for asthma in a multifaceted way, integrating research, education and global policies. It aims to gather evidence which calls attention to the burden of asthma, to warrant its recognition as a high priority for national health strategies, to demonstrate the necessity for an increase in research, to evaluate the best ways to prevent and control the disease, to provide guidance on how to overcome barriers and to alert political bodies to ensure a truly global approach. The “Global Atlas of Asthma” has been written by an international group of 80 opinion leaders in asthma and includes 147 illustrations and 46 tables. Allergy today is a concern of pandemic proportions and it requires immediate action. 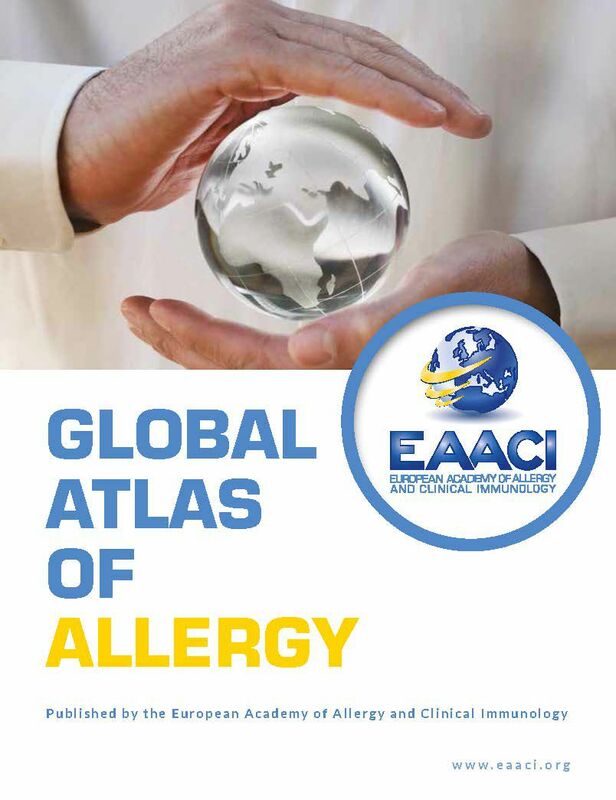 The European Academy of Allergy and Clinical Immunology called on all worldwide leaders to develop a “Global Atlas of Allergy”.